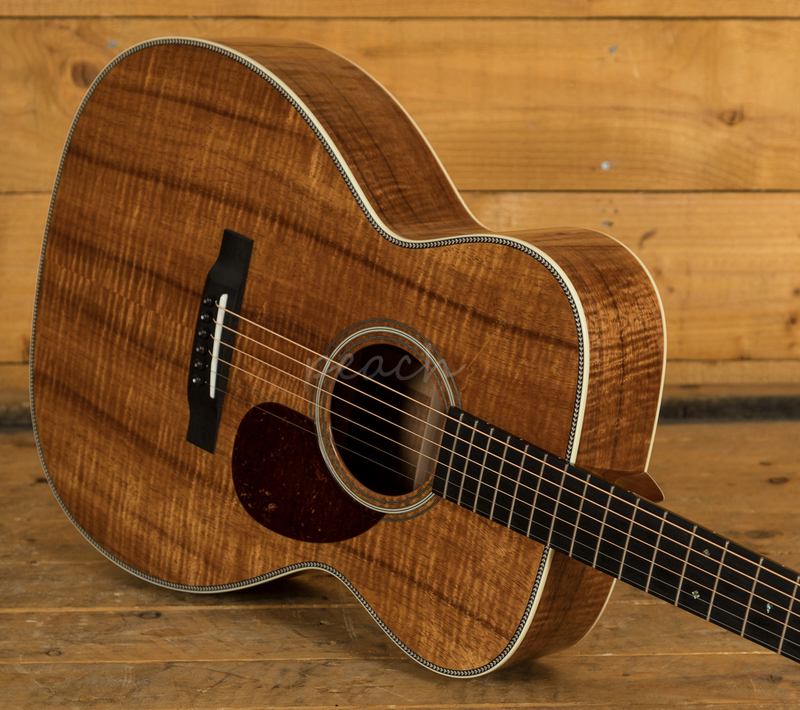 Collings make great guitars, with over 35 years of experience; they know a thing or two about putting together a superb guitar. 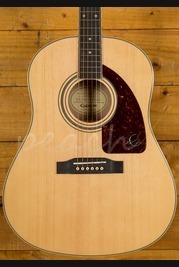 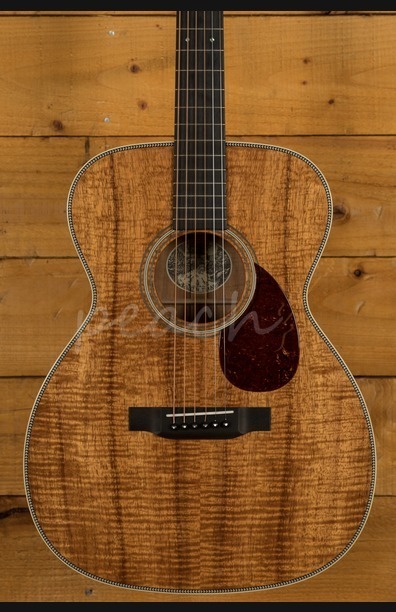 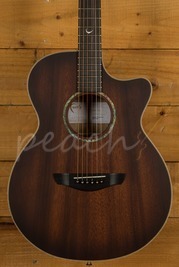 The Collings OM2H is certainly one of their standout models! 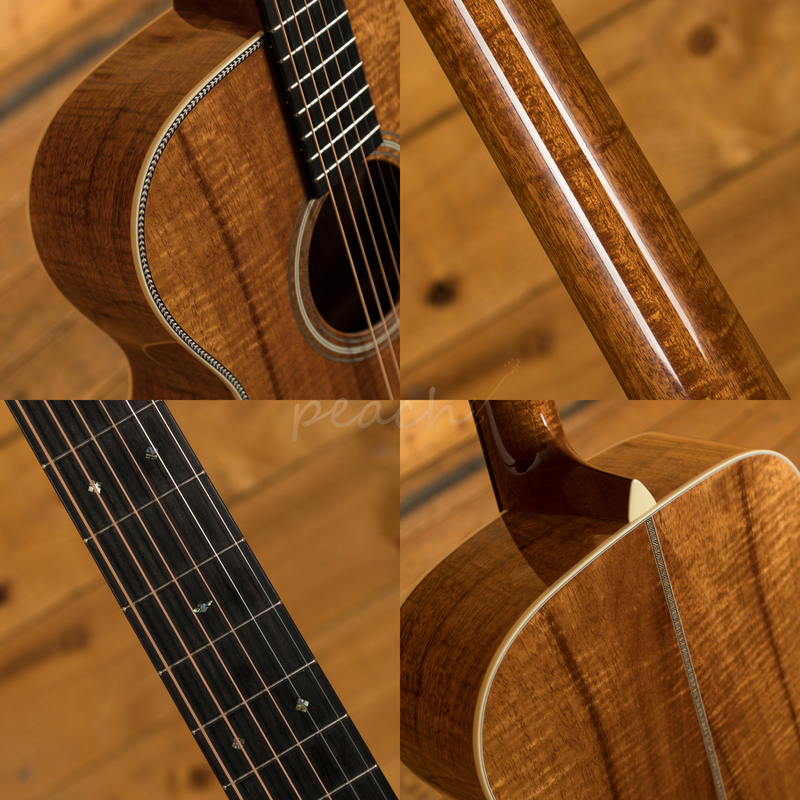 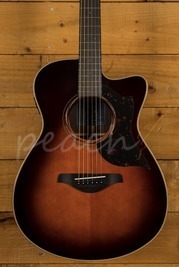 With a crisp Koa top, back and sides, the OM2H delivers depth, warmth and tonal clarity. 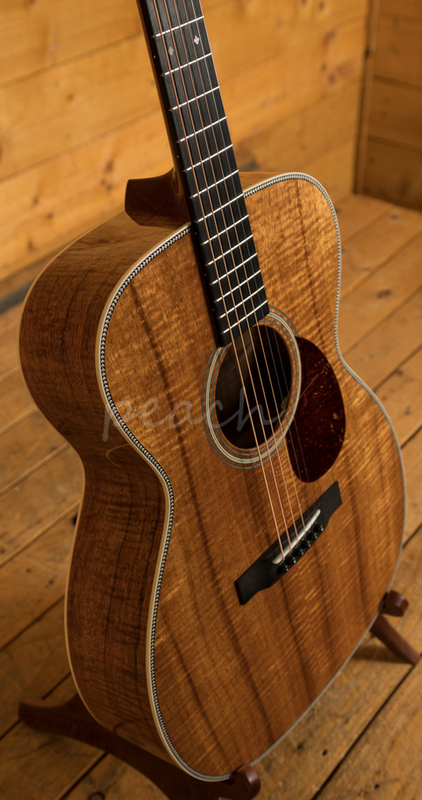 Koa is considered by many to be the pinnacle of acoustic guitar tonewoods, with its rich wood aesthetic and sweet, complex and crystal clear tones it is easy to see why players favour it. Rich and resonant it offers great projection and incredible note definition, this is a real players guitar that's lends itself perfectly to both fingerstyle and more heavy chord work. 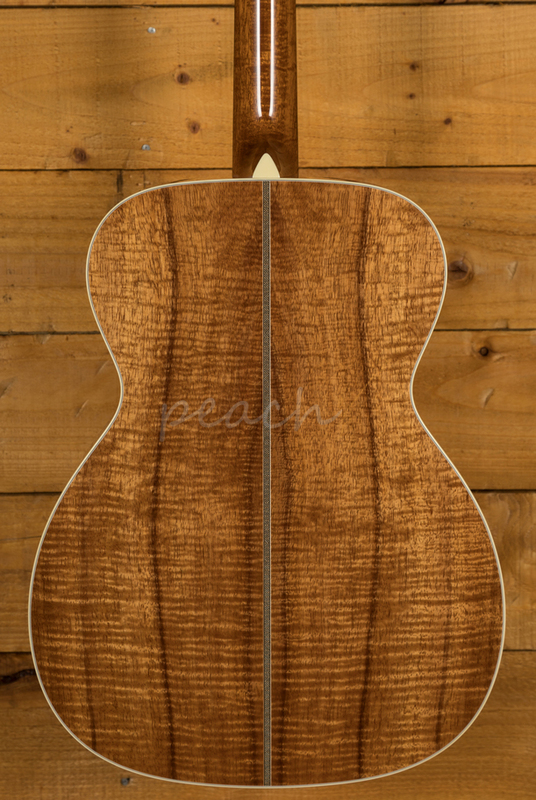 A Honduran Mahogany neck boasts an Ebony fingerboard with a modified V profile and 25.5" scale length. 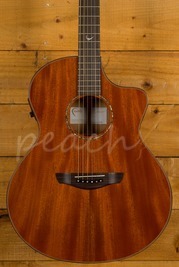 Supremely comfortable underhand, it's an absolute joy to play, beautifully well balanced and incredibly high quality. 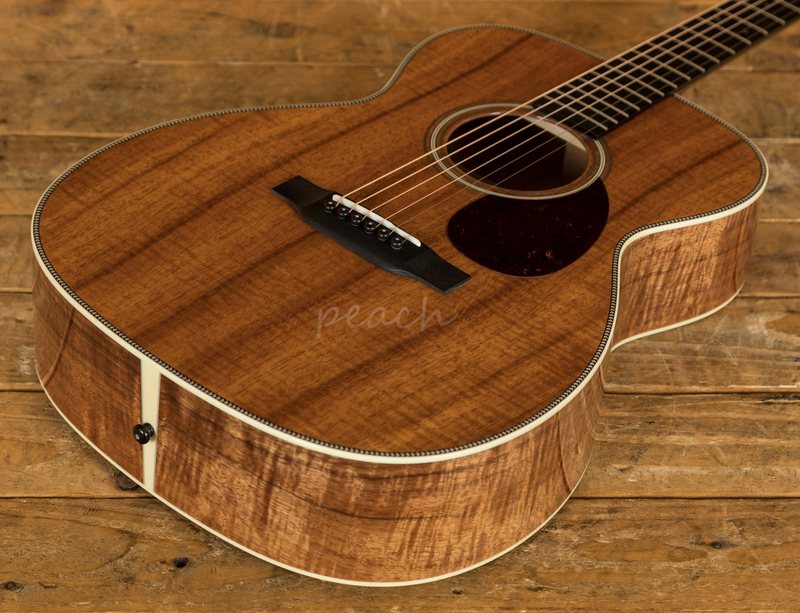 This beaut is handcrafted in Austin, Texas and it's the real deal. 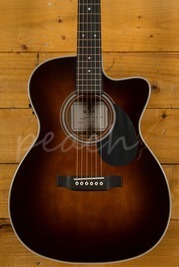 Complete with a hardcase, it's ready to hit the road!